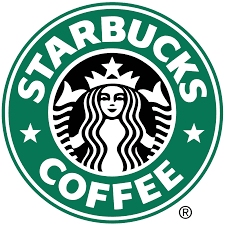 Starbucks Corporation (NASDAQ:SBUX) has been the top performer in my portfolio compared to the internal rate of return for each position. I initiated a position in the company in April 2014 and have no complaints with the returns. In that time I've received a dividend return of 2.75% to go along with 53.9% cumulative dividend growth. Price appreciation has come in at 58.4%, giving a total return of 61.2%. That's good for an annualized return of 30.6%. I've been quite happy with the growth and subsequent returns since starting a position in Starbucks. However, those are historic returns and have no bearing on whether the company is attractive at current prices. Since hitting a 52-week high of $64.00 in October 2015, the share price has retreated back to $55.86 as of the close on Friday, February 12th. That's a decline of 12.7% and piqued my interest in updating my valuation on the company. Starbucks is a Dividend Challenger with 6 consecutive years of dividend growth and a 5 year dividend growth rate of 30% annually. You can check out more of my stock and valuation analyses on my Stock Analysis page.